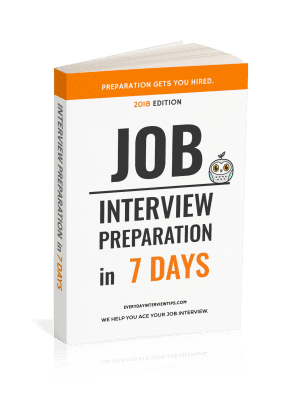 Every day employers look to logic problems and brain teasers as a way to discover how the applicant handles answering tough questions that cannot be pre-planned. These puzzles are designed to find out how applicants handle pressure, and their ability to put logic into action. You have two 60 second fuses and a lighter. While each fuse lasts sixty seconds, that does not mean it burns at a steady or continuous rate. At some points in the fuse it will slow down, in others it will speed up. How can you measure out exactly 45 seconds? Wild card questions are more unexpected. They do not always have a correct answer. These are questions like “What kind of tree best describes your work?” They don’t make much sense, but they don’t have to, because they are meant to gauge your response. Brain teasers may or may not have a correct answer, but the correct answer is not nearly as important as the process. This includes questions like “Why are manhole covers round?” or “If you had 32,768 participants in a tournament, how many games would need to be played to determine the winner?” or “You’re shrunk and trapped in a blender that will turn on in 60 seconds. What do you do (http://money.cnn.com/2007/08/29/technology/brain_teasers.biz2/index.htm)?” In some cases there are answers, in some cases there are not. These are similar to but not necessarily logic puzzles, because logic puzzles always have one correct answer. Professionalism – Remain calm and answer the question just as you would any other. 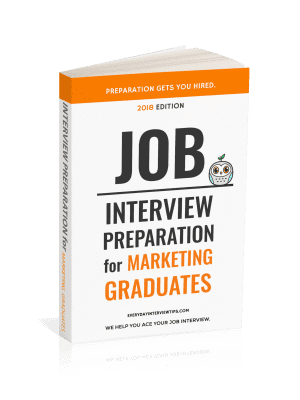 Applicants that think an interview question is stupid or too difficult or too stressful are going to struggle to get the job. Sound Logic and Judgment – This is the big one. Your answer should show that you put real thought and logic into it. Logic puzzles have correct answers, but it is more important that you put thought into your answer than it is getting the answer right. Don’t Ask Questions – It can be a little tricky, but don’t ask questions of the interviewer. If you have multiple thoughts, explain them. Employers want to see that you tackle the problem with sound logic, not turn to them for the answer. The second point is very important. With the tournament brain teaser question, you could easily answer “32,767” (each player plays one player, one gets eliminated, etc.). Is that the right answer though? You do not know how many teams are playing. What is the game? What if every player is participating? If you incorporate this thought into your answer, you are sure to impress the interviewer. Logical thought process is more important than the result. This is especially true with logic puzzles. Logic puzzles have actual answers. Yes, you want to get the answer correct, but if you can show a logical thought process to how you got the answer wrong, you are still going to impress the employer in a way that would not be possible if you simply blurted out an answer and gave up. That is the key to answering these questions correctly. Use your head to come up with an answer that makes sense, and show that you gave each answer thought and came up with what you perceived to be a logical conclusion. Even when it comes to deciding what type of tree your work would be, if you show logic, thought and intelligence, you will get the answer right. Finally, remember that when you answer tough questions that require sound logic, tell the logic to the interviewer rather than asking them. For example, with the tournament question, rather than say “how many teams are there?” you should say “it depends on the number of teams. For example, if the tournament was one large game of dodgeball, it would only be one game…” as you continue your answer. Give each answer thought and do not simply blurt an answer our without considering it. Be ready to explain how and why you developed that answer. Don’t ask questions, simply explain your thought process. You light both ends of one fuse and one end of the other fuse. Even though the fuses burn at strange lengths, a fuse burning at both ends will still burn at half the time (30 seconds). Your remaining fuse will also only have 30 seconds left. Burn the remaining fuse at both ends and exactly 45 seconds will have elapsed.